I am continually surprised about reactions to my amateur surf films of the 70s and 80s. 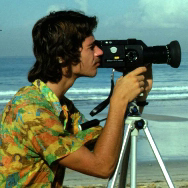 While living in San Diego in the early 1970s I started borrowing my Dad’s 8mm Minolta film camera and making surf movies. Somehow making movies just clicked with me and I made about 20 short movies between 1972 and 1985. 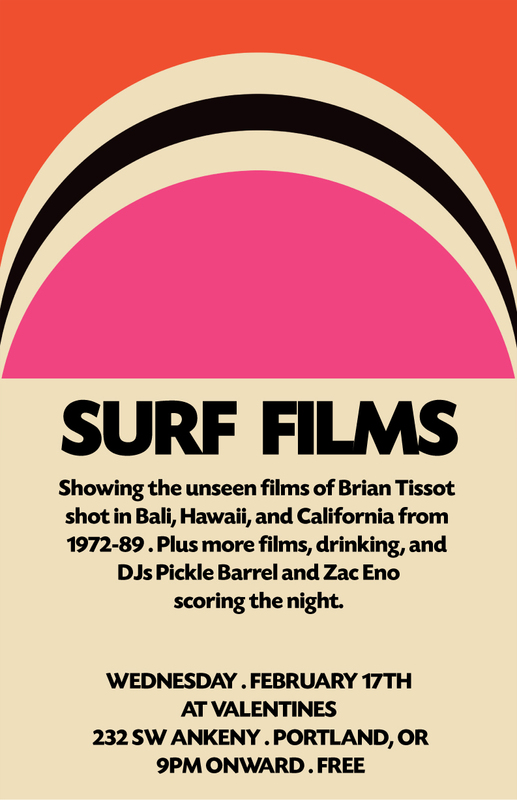 This was a time when Endless Summer-inspired films began to roll through California surf towns like clockwork: Five Summer Stories, Pacific Vibrations, The Innermost Limits of Pure Fun and on and on. These events were the rallying point of local surf culture where the seldom assembled throng yelled and hooted at each wave to blazing rock music (who can forget the Honk soundtrack on Five Summer Stories?). My journey into filming was a feeble attempt to recreate this energy in my own living room at our parties and I took great effort to cut each film to specific soundtracks. My equipment got better when I bought a Sony super 8mm in 1978, then a water case for it in 1980, and I traveled from the west to the east coast, then Hawaii, Bali, Tahiti and so on. Jump ahead to 2009 and YouTube and I started posting some of my old films, now converted to digital video, online to share with some of my friends. Now none of these videos are popular by today’s standards but I am still amazed that over 150,000 people, for example, have watched my film “A Hatteras Odyssey” which describes a surf trip during spring break in 1975. Almost all of the 100+ comments on this video are a delight to read and either bring back old fond memories or describe a nostalgia for the past; that of a simpler, carefree time when surfers cruised in VW campers and drove the coast searching for waves. Some say it is the color that only film captures, a soft almost wistful palette. Add to that the grain, dirt on the film, occasional burnt frame and light leakage at the film edges and it captures a bygone time that many miss (including me!). There are even filters these days to ADD these imperfections into crystal-sharp digital video to capture that feeling. At any rate the impact of my films, as modest as it has been, has taken me by surprise and I have had dozens of requests to use my footage in music videos, advertisements, backdrops for live bands, bar film festivals, and most recently a museum exhibit in SF! Although I continue to make videos these days my focus is mostly on marine biology or diving but I may make another surf film, you never know. The point of this post is to connect you to an interview with me regarding my films by Manuel Meisel at the Great Surf Movies Blog. Manuel has a gift for finding obscure but hot surf films as well as following modern surf culture. So please do check out his Blog. COOOOL STUFF. I AM THE DUDE WITH THE YELLOW HELMET! ARE YA STILL IN CAL? I AM STILL SURFIN. GOING TO COSTA SOON. ARE YOU STILL SURFIN?